If you’re not sure what GDS is then click here. GDS certainly seem to have no appetite to attempt to tackle local gov – they have too much on their plate already. They have offered to share code, standards, APIs, frameworks etc – the philosophy being that we create a service of ‘small pieces loosely joined’ (a phrase which was originally used as an analogy to describe the Internet) – this means that responsibility for implementing this stuff would be devolved to individual Councils. It’s nice of the GDS to offer to share this knowledge, but I don’t think it’s quite the right approach – we’re already a community of small pieces, loosely joined and we’re in a mess, we’re fragmented. Rather than being handed a set of tools and the message – “This is how we did it for Central Gov – knock yourself out!” – I would like to see the creation of a Local Government Digital Service which oversees the standardisation and improvement of all things digital in Councils. For the purpose of this discussion I’m defining a Local Government Digital Service as simultaneously being a philosophy, an IT strategy and a central team of people capable of delivering it. So what problems would a Local Government Digital Service solve, what would the service look like and how hard would it be to create it? What problems would Local GDS solve? This bit’s easy – there are 326 Local Authorities (LAs)/Councils in England (http://en.wikipedia.org/wiki/Districts_of_England). That’s 326 organisation doing, pretty much, the same thing. In terms of IT this means 326 websites, 326 email systems, 326 social care systems, 326 planning systems, 326 education systems etc etc. This is not quite true as not all LAs have, for example, responsibility as a LEA – but you get the idea. I estimate that an averaged sized Council will be running around 75 different ‘line of business’ applications – by which I mean the ‘serious’ software that’s used to underpin service delivery, I’m excluding client installs such as CAD or pseudo-systems like MS Access databases and spreadsheets. 326 x 75 = 24,250 software applications. 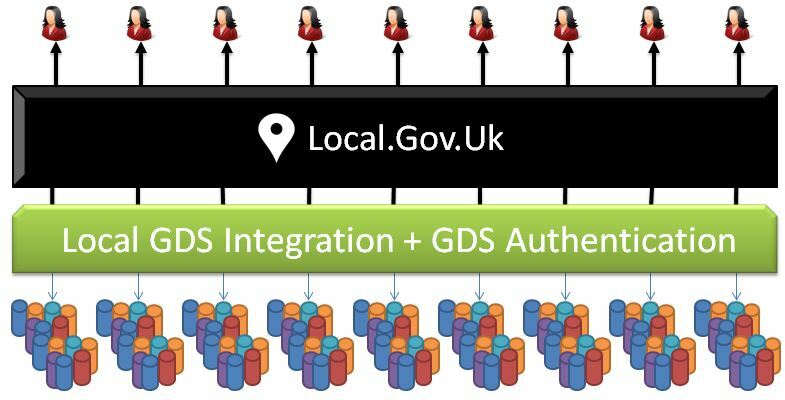 So the first benefit of a Local GDS is obvious – increased efficiency through removal of expensive duplication. OK – so it’s a no-brainer, if we could make Local GDS happen then there are serious benefits to be had. But how do we make it happen? What would Local GDS look like and how might it be brought about? Identify those bits of information which are common across Local Gov. 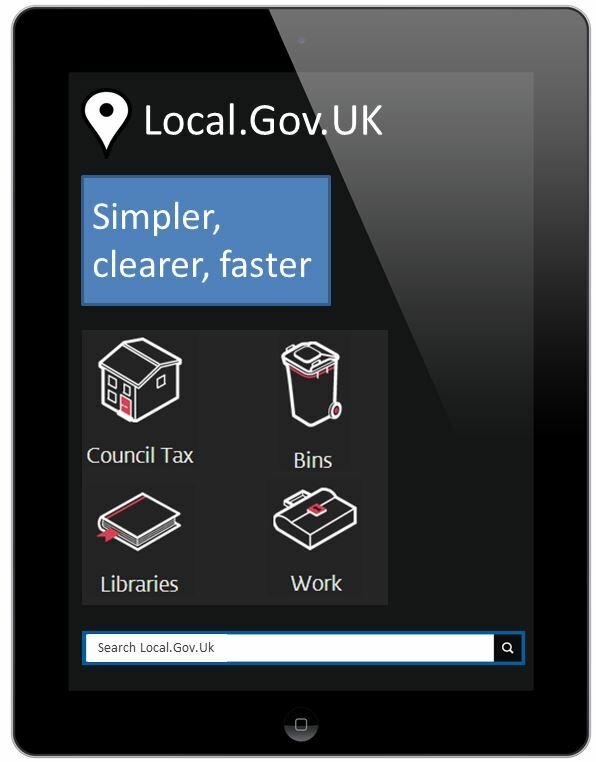 Create a Local.Gov.Uk site (same look and feel as Gov.uk) and populate it with the important information. Cull the old Council sites which are now obsolete. Save a fortune on Content Management Systems and hosting costs. Clearly we will need to have a site which recognises that not all parts of the country are the same – some Councils have coastline, some have ports, others have zoos, some have motor racing circuits – the list goes on and all these things bring with them policy and service delivery implications which are not standard across all Councils. Furthermore, as already mentioned, not all tiers of Local Gov have the same statutory responsibilities – not all Councils act as the LEA, for example. These things shouldn’t be a barrier to Local.Gov.Uk though – any transaction/search would begin by capturing the citizen’s post code and the resulting information can be tailored accordingly. Imagine how great it would be for the user of the service to not have to care about whether their area is covered by more than one Local Authority, each with different responsibilities. It reflects poorly on us that we expect our customers to concern themselves with this kind of organisational detail. A single national web presence for local services would be a huge achievement, yet it would still be just the first step on a much longer journey. Standardising the information we push out is the easy part – delivering transactional services online is where the big challenge is – but this is also where the big savings can be realised. Most Councils have already started implementing some variant of the ‘My Account‘ or ‘Your Account’ service. Often these have the Council’s name appended ‘My Sheffield’ or ‘My Manchester’ and these services will give the citizen some ability to interact with their Council in a way which directly replaces the need to make contact via other channels (telephone and face to face). This is great news – Digital by Default, Channel Shift – excellent – it’s where we need to be and it’s self evidently the right thing to do. But it’s no small task to make a ‘back end line of business system’ accessible to customers – it’s hard to do and costs a huge amount of money. 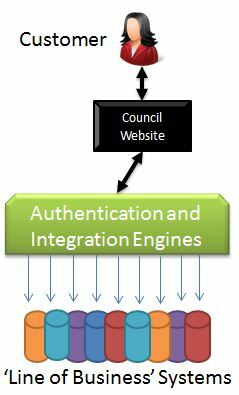 There are integration tools to buy, APIs to buy, then you have to think about authentication (this is tricky) and finally the Council will create a new website (branded to look like its main site) from which the customer gains access to the back-end data. Typically it might take a Council 2 years and hundreds of thousands of pounds to get to this point. That’s OK though because as we all know the cost of an online transaction is a fraction of that of its face-to-face counterpart – the investment pays for itself quickly and many times over. Fine – but ALL the Councils are on this journey – we’re all building identical architecture to do the same thing. We’re all trying to bring about channel shift in isolation. This is clearly bonkers – but Local.Gov.Uk gives us a way out. We can begin rationalising this model a layer at a time. Next the Local GDS team uses the GDS’ well documented iterative development techniques to write integration with the Council’s back-end systems. 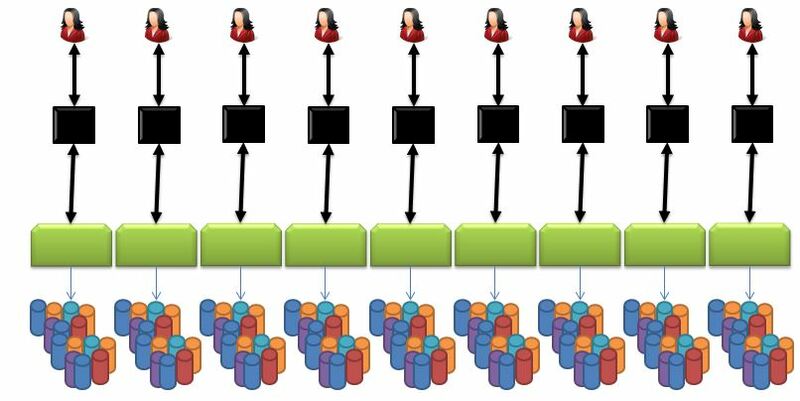 This would be done starting with those systems that are most common and/or have the highest volume of transactions. This is not as onerous a task as it might sound – the mission critical systems in Local Gov are shared between just 4 or 5 suppliers. 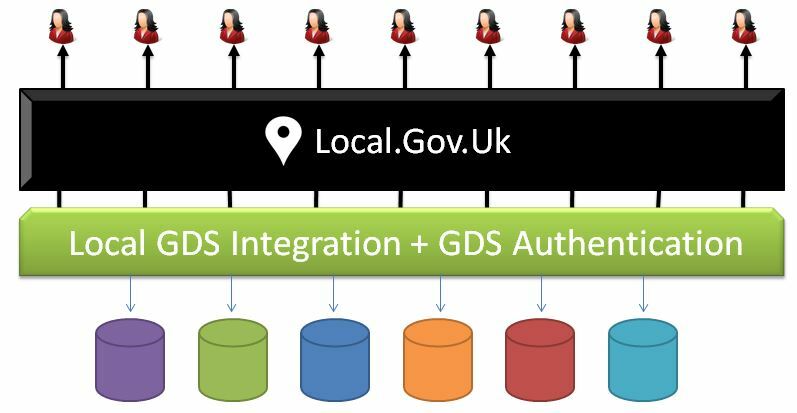 In terms of authentication – we’d also jump on GDS’ ready made identity and authentication tools to crack that (thorny) problem – by the time Local.Gov.Uk goes live nearly all our customers will have registered with Gov.Uk for one service or another. I’m conscious that I haven’t mentioned the Public Services Network (PSN) in this discussion yet. PSN would be a key enabler of Local GDS – PSN is the secure network that joins it/us together and, potentially, could be the place where many of the SaaS systems are hosted – in effect PSN would be a secure cloud for Local GDS. I’ve been ‘doing’ digital in Local Government for (too) many years – so I appreciate that all of the above will be hard to bring about. A significant challenge to Local.Gov.Uk/Local GDS will be convincing all authorities to get on board. In a presentation at the 2013 SOCITM conference (see video at the end of this post) GDS’ Mike Bracken (@MTBracken) said – “It was the devil’s own job to get 24 departments to agree to adopt Gov.uk”. Imagine that challenge scaled up to 326 Councils? Ouch. 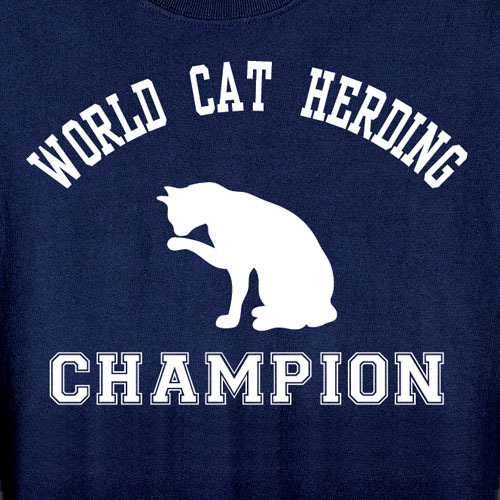 I pity the shepherd who gets the job of herding those cats. A second major challenge to the Local GDS model is that it threatens the profits of the major software suppliers. The big suppliers – you know who they are – are very happy to sell the same software to 300 customers. Much less attractive is a joined up Local Gov wanting to to buy a small number of shared instances of these applications. The procurement and legal dimensions will be complex – but maybe G-Cloud can help us with this? 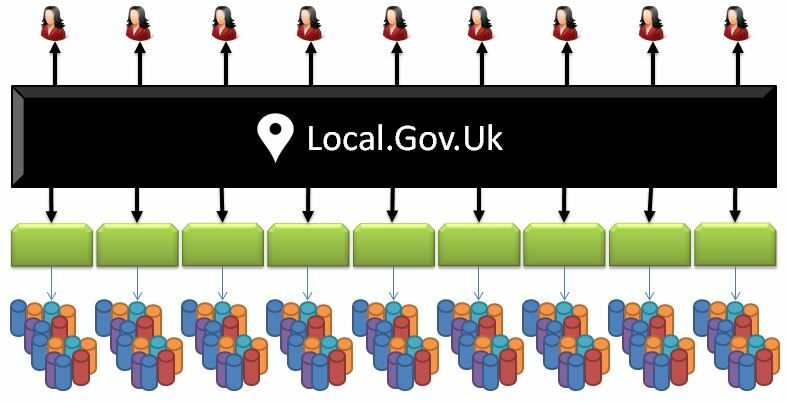 A further challenge will be in resourcing Local GDS – but logic tells us that there must be a way to do this by better using existing resources across Local Gov. Let’s assume that each Council has a web team of, say, 4 people – some are bigger many are smaller, but 4 feels about right – that’s roughly 1300 people currently involved in maintaining Council websites. Add the various IT departments in to this and you’re looking at a standing army of over 20,000 people already employed in local digital services. If we could avail our selves of just 0.1% of this resource (20 people) then we’d be able to create a nascent Local GDS. Or, and this is probably more realistic, if each Council contributed a small amount each year we would have ample funds to make Local GDS a reality. Remove the need for individual Council websites . Significantly reduce software support and maintenance costs for a range of systems. Allow for headcount reductions in web/digital/IT teams. Begin to move away from local data centres. That’s what we used to call an ‘invest to save’ business case in the olden days. Who could lead on Local GDS? It’s got to be SOCITM hasn’t it? A ready made team of experts in digital government who know what’s needed to transform Local Gov and who are champing at the bit to get cracking. You may say that I’m a dreamer – but I’m not the only one. 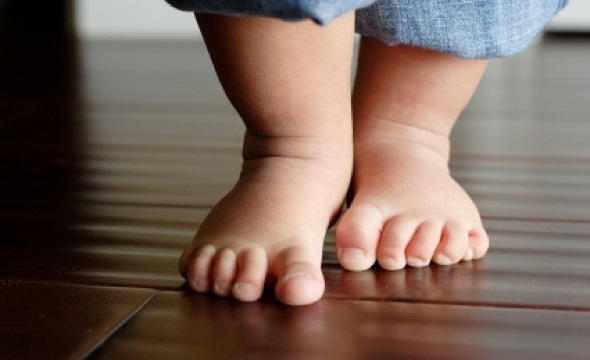 If we start small, keep it simple and take baby steps we can do it. This entry was posted in Uncategorized and tagged digital, GDS, Local Government, PSN, SOCITM on January 6, 2014 by Richard Copley. £53k is probably a lot more than many councils spend on website software just to publish content. Every now and then the “one website to rule them all” debate starts up again, and in part it’s where LocalGov Digital (http://www.localgovdigital.info/), arguably the leading organisation for Local Government digital practitioners, originated from. People often refer to Local Government but in truth they should probably say local governments. This is because each local government has a unique political make-up, voted for by the residents of the respective Parish, District or County. Decisions about local public services and how they’re delivered are made by elected representatives, locally. This means that each have a different set of priorities and objectives. The 24 Whitehall departments are all sub-sections of the same Government; there are 326 different, separate local governments in England. As you suggest, the concept of “the council website” is also outdated. Councils now deliver digital services from many websites, some less than able add-ons to legacy systems. To display planning application data from a central location, you’d need one national planning system, or connectors from all 200 or so councils that deal with planning applications. Do-able, it wouldn’t be easy, and that’s just one service a council provides. Content is increasingly becoming, not a page of information but a re-usable object to be used by anyone who needs to and there are some content areas where a Local Government Website might work. One of the five principles of the LocalGov Digital Content Standards (bit.ly/1aUr59K) is “Is the content original?”, and content that relates to all or a large number of councils could be live in a central store and be linked to, or consumed using a web service. http://www.tradingstandards.gov.uk has been doing this for years with TS Broadcast. In 2014 LocalGov Digital will be breaking down the boundaries between local government digital teams, so perhaps your dream, or aspects of it might start to become closer to a reality. Reblogged this on Nigel Boor. This is a great idea. I’d like to think that we at PSNGB could help support it from the PSN end of things. What could we do to help? I’m afraid the whole basis of this article has completely missed the point. A website and a bunch of IT systems is not the product, it is a means to an end, an enabler. A means to provide local information and services in a locally accountable way. What is achievable for a single democratic Government cannot be replicated by a multitude of democratically accountable governments. DISCLAIMER: My employer, the Government Digital Service (GDS), has no remit over local government. Any and all views expressed in this reply are mine, and mine alone. That typed, I am a passionate advocate of local government (LocalGov). I want many of the steps outlined in your blog post to happen, yesterday. If there is anything I can do to help, I will gladly do it. One last thing. On Friday 21st October 2011 whilst I was in a Hyperlocal GovCamp West Midlands session called “Radical Council Websites”, Dominic Campbell tweeted a question. Excellent article – agree. There is a model for this – and its existed for the last 10 years. http://www.lookinglocal.gov.uk/site – a co-operative of over 120 LA’s and HA’s across the UK with a shared technical platform for exploiting digital platforms beyond our respective websites. Subscription based. Entirely owned by the public sector and working for the benefit of all its members. Its not easy but it can be done. Extending this to incorporate the web is a natural step which we haven’t taken – but could consider. It has the advantage of an existing network and removes the need to shepherd all in one hit (ie it could be incrementally led by those with the vision to pursue something like this). We’re also working to integrate with the GDS ID Hub as I write so the fit goes further still. Great write up Richard. Count me and Swindon Council in, I’d subscribe to a Local.gov.uk platform and transer the money this afternoon if I could. Could we start with a dozen or so councils who feel the same way, prove the concept and then invite others to the party? I wish the GDS had left the departmental sites alone. I hope they leave local government alone. None that I work with has been improved by the transfer to the single government domain and much has been lost, both in material and in usability. Clearly structured and organized content has been replaced by poorly curated strings of .PDFs. Search is idiosyncratic, to put it at its kindest. I’m sure there’s considerable scope for local authorities to share services, but I would not see .GOV.UK as an exemplar. 1. I don’t think it’s important where it’s based. The physical location is irrelevant as long as it’s in the UK and has great connectivity. The work force could be anywhere. They don’t have to be in the same room/building/town/city or county. As long as they are connected and understand what’s needed. Good management is crucial. 2. It’s a sign of a good idea if multiple people are working on it. Let’s get them together. 3. Agreed that this will be difficult as there are many agendas to deal with. It would be easier if it was imposed. There will be a million reasons to say no, and I’m sure that everyone will be used. However, I trust common sense will prevail, eventually. 4. Agreed that technology is not the reason, it’s just an enabler. The Public Sector/Government has a lot of my money each month. I want it spent wisely. 5. Agree that there a large number of authorities who see themselves as ‘Special’, and indeed some areas have unique issues to deal with. However, I don’t believe that all authorities are completely different 100%. Focus on the similarities, not the differences. Apathy should be ignored. 6. Agree that the likely way this will work is for a small group of people who want to make a difference get on and do it. The rest will follow. Been on about this for years (see http://greatemancipator.com)! Whilst there are challenges about democratic accountability and splitting the costs, this are not blockers. The cat-herding is and has been thus far, along with the contracts with external suppliers that localgov is tied into. There is also the reality that many are outsourced in one shape or another. Localgov needs to stop reinventing wheels and suppliers need to stop assisting them in this. I was a skeptic at the GDS launch, but it has done something remarkable despite the recently revealed DWP debate. A laudable idea but not a terribly practical one in my view. If every council delivered their public services in a uniform way then it might stand a chance of getting off the ground, but with each authority having its own policies and procedures to follow, with different annual objectives set by each council, the bureaucracy would be a nightmare to administer, and the single website a devil to manage to the complete satisfaction of individual councils and their customers. I can’t remember its name now but there was at one time (c2001) a highly unpopular proposal that the forerunner to Directgov should evolve into a single website for all local government. Great blog – really thought provoking. Good to see Giles’s post on LookingLocal – that was one of my first thoughts when I read this. It is possible. However, I must be getting cynical but I am afraid my second was that I’m not sure bigger is necessarily better. Whilst fragmentation increases costs it enables a level of local flexibility. From where I’m sitting the big challenge feels like the lack of alignment, coordination and integration between agencies locally. My point is that if you asked your communities if they’d rather have a single local government website or if they could have joined up route into all the key local services including GPs, mental and community health services, childrens and adults social care, housing, probation, education, revs and benefits, and waste collection – my sense is that they’d go for the latter. For example, at present, people with complex mental and phyical health needs largely struggle to create a patchwork of support where failure in one element increases demand on the others. With increasing fragmentation of services likely over the medium term this problem will grow, and so will costs whilst outcomes deteriorate. There is some good work in this space – better data standards, more flexible systems, personal data stores, and a pressure to innovate that is deconstructing silos (e.g. whole place programme). So with limited resource and energy for battles, my view would be this is where the greatest return can be achieved. That said, if you had a national system and single set of back office systems across councils, integration across the sector would be easier. Just dont do an NPfIT. As has already been alluded to, central government has the advantage of being able to use stick (along with carrot) to bring about a degree of change. At a local level that doesn’t work and never will. Some lament this, others don’t. In reality, I suspect there is real merit in pursuing an approach to our shared issues. I do believe that the 80% rule works here – the level of repetition across our various boundaries is enough to make you weep. Imagine if we put our resources into making the last local 20% better and all subscribed to the rest? More radical still, let’s park the IP for this capability in the public domain where we can all share it. 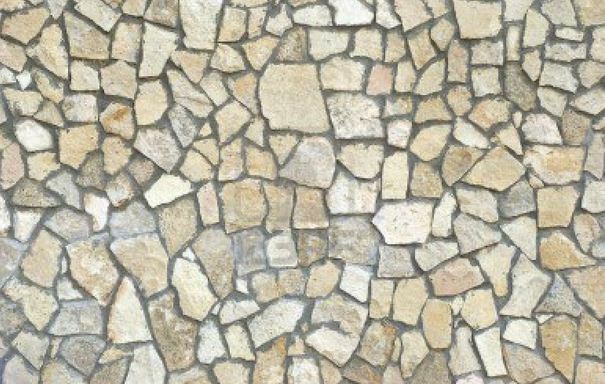 This stuff isn’t easy and it challenges many things both in terms of the way we all deliver our services and the myriad of technologies and suppliers that make up that mix. However, we have certainly learned that if there is a will, then there is a way. What it needs is a handful of bold LA’s who are up for it, It probably needs some form of central funding (much like has underpinned GDS) to get this up & running. Doing this ‘right’ doesn’t come cheap but the business case for doing so should not be hard to prove. It certainly would not need funding to the tune of £17m! A well considered and thoughtful proposal is not beyond the wit of man and, I suspect, could unlock some additional seed funding to make it possible. Phil’s point above about drawing in the other providers of local public services is well made. The trick, I suspect, is to build something on a set of principles that positively encourage their broader participation when it suits them, rather than to make the challenge at the outset insurmountable. Various folk have said ‘Where do I sign up?’. Well, we’re based at Kirklees. Richard’s original post stems from a short trip down the M1 to Rotherham. How many would be interested in an exploratory workshop to map out an approach? I need to have a chat internally, but I’m sure we would be happy to host something if there’s appetite for it. Guy (and Richard), you might like to have a chat with Carl Whistlecraft and Steve Langrick, both at Kirklees Council and part of LocalGovDigital to see how you can both get involved. Thanks for the positive comments Guy! I love the 80/20 principle – this is pragmatic and it would work.Once we’ve created a critical mass of councils using a central site it’d be easy to convince the rest. Which council Chief Executive will turn down the offer of having their digital headaches taken away for a fraction of their current spend on technology? I’d be happy to host a session in Rotherham to discuss all this stuff. In the next few days I’ll attempt to contact everyone who has expressed an interest and I’ll look at setting something up. I’m also going to respond properly to all the comments ASAP. Sorry – I should probably have been a little clearer. When I referred to the fact that we are based at Kirklees – I meant Kirklees Council who own and run Looking Local. I’ve been working closely with Steve Langrick for many years. Will pick up with them both. Simplistic, superficial, naive and misguided. Like a child asking for world peace. Local Government is exponentially more heterogeneous than Government and does not have one over arching authority. This is by design and for a good reason. The level of centralisation this constitutes is potentially dangerous. Larger authorities will inevitably have much greater influence over time. It threatens to establish a monstrous hegemony and a behemoth that will become increasingly bogged down in its own conservatism. Why SOCTIM, a private consultancy, to run it? Sounds suspiciously like a promo for them. Can I just suggest an idea. I know I’ll be lampooned and burnt as a heretic. I’m just a user. It’s just a thought from one citizen who looks at things from the perspective of a network manager. A domain name is just an IP address which a DNS points to. The one thing which I want most of all is personalisation. 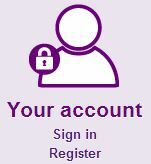 I want to log on to one site and have whats contained in it provide my view of my.gov.uk. regardless of what level, or district, of gov I happen to be in at the time. So many of the services which are being built by mike and the team are based around taking down the walls between central gov departments. As time goes on (and with a lousy memory) I won’t need to know which department if providing what service. But I do need a place to be orientated, a community to live in. So my “Local” perspective is always so much more important than “Central”. GOV.UK is just a web site, and my log on should help me get orientated to all of it – local and central. And that’s the key for me. I appreciate that with a central government designer, they will want to give the most important part – my ID – to an org like the PO or Verizon. But i trust my local council. So want them to issue me with an IDA for both central and local government services. And if they use the same domain, great! OK. Now shoot me. It’s only one citizen’s opinion, and what’s that worth? That’s a cracking idea Simon – I couldn’t agree more. If you look at this: https://www.gov.uk/school-term-holiday-dates you’ll see that we already have at least one example of gov.uk consuming data produced by Councils and making it searchable in a single place. Perhaps all that’s needed is for Councils to auto-publish all their data in an open, standard, format and allow others to consume it? Yeah, that’s just one of many places where local councils are pointed at. There are lots. I think we have to push it a bit further than just having a central directory, at a National site, for Local services. It seems we have this never-ending discussion between levels of gov in most countries. They all seem bent on retaining their divisions, even though all we are talking about is different mastheads/urls, which the one user must navigate. There is simple no “user-centric” discussion. Those discussions can only occur when one “starts” by focussing on a User’s account. Can you imagine having a Google account where you had to use a different account for each country service? Switching language is hard enough. It’s certainly not helped when we have people (and I think Mike is terrific) who only give credit to the central part the team. https://gds.blog.gov.uk/2014/07/24/the-unsung-heroes-of-voter-registration/ The other 387 teams are considered incidental. I would have liked at least one story from the local perspective. We seem to have this problem in that no one is addressing the provision of services from a single account and (Public Service) NETwork perspective. Even though we know that most services (from a user’s perspective) will require an interaction between central and local databases. https://gdstechnology.blog.gov.uk/2014/07/10/under-the-hood-of-ier/ If one moves house must they update their address at every central database separately? So, if we are ever going to have user-centric services, we must always start at the bottom (local) and combine those services with the central ones. It can’t be done easily the other way round. Your diagrams are just fantastic. But let’s try one with user>my.gov.uk account (which might ask “where do you live” and take one off to a local site). That’s the most important part for any digital service. i.e. who “owns” the customer? BTW. Front page of gov.uk. See the Link to “Housing and council services”? (small “c”) It’s a prob when designers can’t empathize, isn’t it?